Photo: Used with permission from California Correctional Health Care Services. 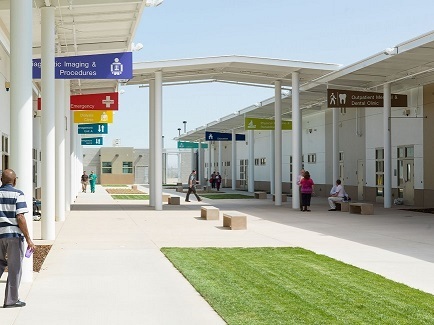 The Opioid Response Network (ORN) is working with California Correctional Health Care Services (CCHCS) on developing a roadmap to increase access to evidence-based treatment for its 35 correctional settings and an estimated 100,0001 inmates with substance use disorders. With help from ORN, CCHCS aims to reduce the number of post incarceration opioid overdose deaths. Research shows that individuals released from jail or prison are at an increased risk of death from drug overdose, especially within the first two weeks. Former inmates with a history of misusing opioids as much as two years post-release still demonstrate a higher risk. “With the skyrocketing fatal overdose rate nationwide, healthcare staff, in virtually every setting, are going to need to be comfortable identifying and treating these patients,” said Dr. Bonnie Gieschen, CCHCS Deputy Medical Executive, who first reached out to the Opioid Response Network for support. CCHCS hopes to train its primary care providers and other health care staff in medication-assisted treatment (MAT). 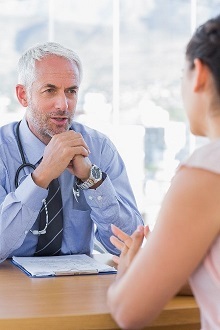 “Our provider workforce comes from the community, and like their community colleagues, only a small percentage have received targeted training in the treatment of substance use disorders,” added Dr. Gieschen. While medications like buprenorphine, methadone and naltrexone can substantially reduce death rates from opioid overdose, they have not been widely accepted in correctional institutions. But they do work. A recent study in Rhode Island illustrated a 61 percent decrease in the post-release overdose death rate within a year after the state implemented a MAT program that provided medications to individuals while incarcerated and after being released. In California, approximately 125,000 men and women are incarcerated in state prisons and an estimated 60-80% percent—or up to 100,000i—will enter prison with a substance use disorder. Given that substance use disorders are also highly prevalent within the prison population, providing evidence-based practices to prevent and treat is paramount. CCHCS’s request for motivational interviewing is being integrated into a broad strategic approach that has them partnering with the California Department of Public Health and multiple other local and county agencies in addition to ORN. This multi-agency collaboration is an ideal example of how important it is to work together and outside of traditional settings in an attempt to make real change. CCHCS Addiction Medicine Specialist, Shannon Robinson, MD, is currently building a program that includes effective transitions into and out of correctional settings and within the community. Eventually, they want to roll out MAT trainings to targeted institutions, which will allow for the development of a “hub and spoke” model. In the interim, a dozen motivational interviewing trainings for up to 720 individuals have been scheduled for this summer. ORN is providing facilitators from UCLA to train CCHCS staff across many disciplines within their 10,000 plus workforce. Those being trained include physicians, advanced practice providers, nurses and social workers. The goal is to provide these professionals the skills necessary to elicit change talk from clients with low levels of readiness for change, which, in turn, helps increase motivation levels and moves clients towards action in addressing their substance use issues. ORN will continue to track the progress of this initiative so others can learn and take away best practices. To learn more about how the ORN can help you address your local needs for education and training, submit a request at opioidresponsenetwork.org/SubmitTARequest.aspx. All requests will be responded to within one business day. ORN was created to address prevention, treatment, and recovery of opioid use disorder (OUD) and is funded by the Substance Abuse and Mental Health Services Administration STR-TA grant. 1 Bronson, Jennifer, Stroop, Jessica. (2017). US Dept. of Justice Bureau of Justice Statistics, Drug Use, Dependence, and Abuse Among State Prisoners and Jail. Funding for this initiative was made possible (in part) by grant no. 6H79TI080816 from SAMHSA. The views expressed in written conference materials or publications and by speakers and moderators do not necessarily reflect the official policies of the Department of Health and Human Services; nor does mention of trade names, commercial practices, or organizations imply endorsement by the U.S. Government.